Here are five questions to ask yourself before deciding to become a living organ donor. Have you spoken with your primary care physician and researched information regarding living donation? Do you understand the risks involved in this major medical procedure? Have you emotionally prepared yourself for living donation and do you fully understand the possibility that the procedure may not be successful or could even be harmful? Are you ready to live with less than your usual full system of organs? Are you prepared to find out that you may not be a match or be healthy enough to donate? Do you understand that the testing/evaluation process could potentially uncover health conditions that were unknown to you before you considered donation? Are you in good physical shape so that you may be able to withstand a major surgery? Do you have a healthy organ to donate? Will your body be able to live with less than your full complement of organs? Have you thought through all of your financial responsibilities? Financial responsibilities to think about while you are being tested, in the hospital for surgery, and away from work while you recover are: savings, work requirements, travel expenses, time off of work (paid time-off, vacation, sick days, short-term disability, etc. ), follow-up care, lost wages, family, dependents, pets, future obligations, insurance, bills, monthly expenses, etc. Do you have insurance protection in the event that complications arise during or after your surgery? Are you driven to donate by the right motives? 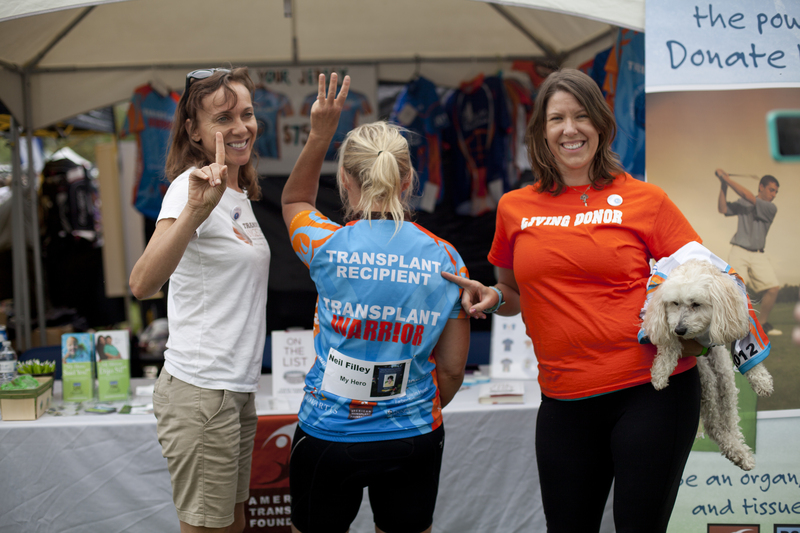 To learn of further considerations for becoming a living donor, please download the “Being Asked to Donate” questionnaire from Transplant Living and the United Network for Organ Sharing. Potential donors should talk with their employer, health insurance provider, transplant team, and hospital about lost wages, time off, and financial/insurance issues. The transplant center will have a social worker and/or financial counselor who can advise potential donors about their options, along with what expenses will be incurred by the recipient’s insurance, the donor, or the hospital. See our financial resources guide. Lost wages during the donor’s recovery. (Depending on your state, donors may be eligible for sick leave, state disability, and the Family and Medical Leave Act (FMLA). Travel expenses – Some transplant hospitals offer free or low-cost hospitality houses for the donor, recipient, and family. Can I be paid for donating an organ? No. Payment for organ donation is illegal under the National Organ Transplant Act of 1984 (NOTA). How will donating affect my health and life insurance? Some studies have indicated that a small percentage of donors reported some difficulty with their insurability. All donors are strongly encouraged to check with their insurance providers to verify their policy and, if necessary, consult with a lawyer who is knowledgeable about insurance law. Is there any assistance available for lost wages, travel, and lodging? The majority of living donors are not reimbursed for lost wages, travel, and lodging. Make sure to discuss your options with your employer or HR representative. The National Living Donor Assistance Center (NLDAC) offers a program intended to provide reimbursement only in those circumstances when payment cannot reasonably be covered by other sources. The NLDAC may be able to provide reimbursement for lodging, travel, meals, and other non-medical expenses incurred during the entire donation process. For more information, please visit http://livingdonorassistance.org/. See our Patient Assistance Program for help with lost wages. View our financial resources guide and laws for living donors - Federal and State by State. How long will the donor be in the hospital and out of work? Normally, donors do not have to stay in the hospital as long as recipients. An average stay in the hospital is 3-7 days for kidney donation and up to one week for liver donation. (The first day is for surgery and the rest for recovery.) It is best to take a couple of days off of work before the surgery for travel and pre-surgery testing and preparations. When a donor is released from the hospital, he or she will need 4-6 weeks for full recovery. During this time, it is best to remain healthy by eating nourishing foods and resting as much as possible. A donor may be able to go back to work within a week or two of the surgery, but he or she must remember to take things slowly and allow rest and time for recovery. Always follow your doctor’s instructions and advice for your recovery. To learn more about both the risks and benefits of living donation, please click here. It is important to discuss potential risks with the transplant team, the transplant candidate, and your family before making the decision whether to donate. Though it is immensely important to thoroughly consider these risks, remember to also consider the many positive aspects of living donation. What are the benefits of living donation? What does the evaluation process include? Does the surgeon use a laparoscopic technique? Can they explain the surgery to me? Based on my health, am I a suitable living donor candidate? What are the possible impacts on my long-term health? What are the emotional and psychological aspects of living donation? How important is the psychological assessment? How should I talk to my family and friends about my decision to donate? What information should I share with my support system? What should I know about the financial aspects associated with donating? Do I need to get different insurance to cover my surgery? Who are all the members of my transplant team including surgeons, doctors, nurses, and aids? What are their roles in my care? Will we still be able to connect post-surgery? What are my options for support?